In the past few days, the kitchen counter in the office where I work has been buried in a mountain of sweets. It started innocently enough, with a few cookies on Monday morning. By Monday afternoon, “a few” became “a lot,” and a pie was thrown into the mix. Tuesday saw the addition of pastries, and on Wednesday, candy appeared: chocolate covered cherries, chocolate covered pretzels, and to really drive home the point, chocolate covered chocolate. My workplace now resembles Willy freakin’ Wonka’s chocolate factory. On steroids. The company I work for is not unique: every office I’ve been in looks this way in December. The holidays are synonymous with sweets. You just loosen your belt an extra notch and deal with it. Or, you know, ignore the tasty confections. Yesterday I was curious, and started poking around one particularly large basket that was overflowing with treats. It was filled with straw, and when I pushed it aside, this wondrous sight caught my eye. “Holy crap!” I said. “It’s a pineapple!” Which, in retrospect, was a pretty dumb thing to say as it clearly wasn’t an apple or a pear. And also, I was alone. Now, when it comes to office treats, the rule is simple: first come, first served. I didn’t even think twice as I strode from the kitchen, clutching the pineapple in my hands and holding it above my head for my coworkers to see. 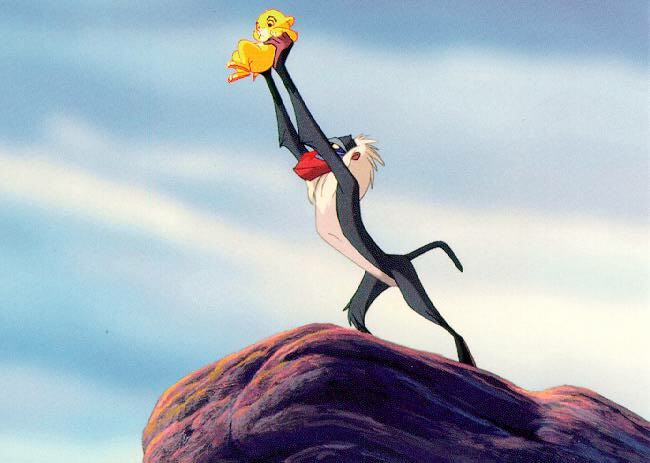 It was reminiscent of that scene in The Lion King where Rafiki is holding up Simba on display. “It’s mineminemineminemineallmine!! !” I declared gleefully. I think I was just a little excited to find something that wasn’t chocolate. Had I found a persimmon in a basketful of tangerines, I probably would have been more chill. It’s all about context. 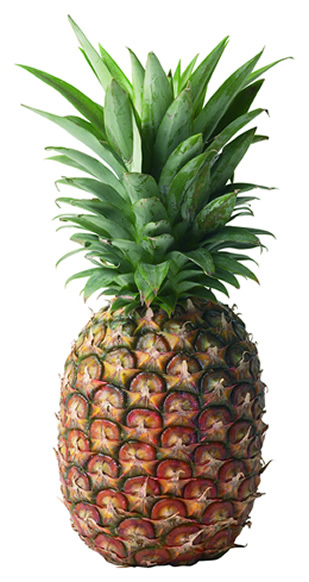 And let’s face it, pineapples are a little bit exotic. As my coworkers looked on in wonder, I explained that because I was born in Hawaii and lived there so many years, the pineapple should be mine by default. “It’s my birthright!” I said. Shades of Simba again. My logic can be very convoluted sometimes, but all I know is, I walked out of the office yesterday with a ripe, juicy, exotic fruit in my hand. That’s a win any way you slice it. Speaking of, I think I’ll go for rings. How chocolatey and sweet is your office this time of year? You’ve definitely been paging through your copy of Men 101! We had a box of doughnuts show up today. They were decorated like wreaths and little snowmen. Festive AND delicious. Talk about a winning combination! My spouse has been bringing home gourmet cookies from office gift baskets. At least they are individually wrapped, so you can expend a few calories opening them. Ha! That’s the best justification I’ve ever heard. Come to think of it, you also expend calories by chewing them, right? You can practically think of cookies as diet food! VERY! We all pitch in and bring something sweet to work everyday to keep us going during this insane time of the year in retail. Agreed! It’s probably the one thing I miss most about Hawaii. 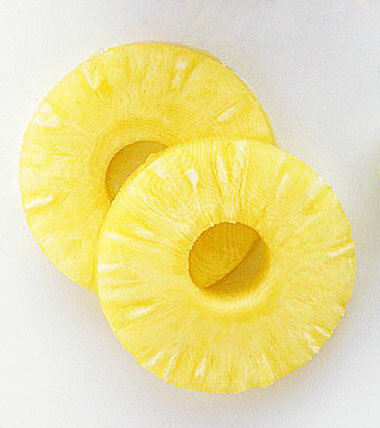 It’s easy to get spoiled with fresh pineapple year round. In my office it depends how close you sit to the assistants. The cabinets nearest them become the resting place of all incoming goodies for general consumption. I try not to go down there. BTW thanks for the inspiration for my blog yesterday. AND… a pile of brownies got dropped off right next to my desk today. OMG this is AWFUL! This post just made me super jealous! Our office is completely devoid of treats. What am I doing wrong? What chocolate god did I wrong? I dunno, but you’d better rectify the situation posthaste. Christmas is only ten days away! 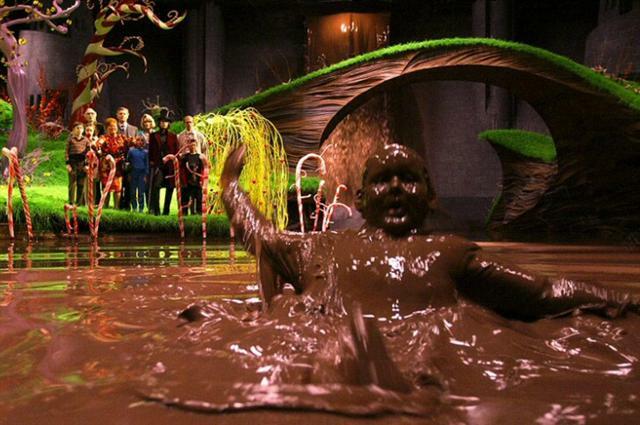 I still have 4 tons of chocolate left over from Halloween. No kids in this 55+ complex. But I knew that. Hahaha, I love that you stole a whole pineapple. I in fact DID get a persimmon at work. And I must say while grateful, remained chill, during the experience. Somebody at work made eau clair bars and it was like a mad dash to the lounge to get one. But I’ve been pretty good otherwise. I keep a bag of clementines in my office which is helpful.